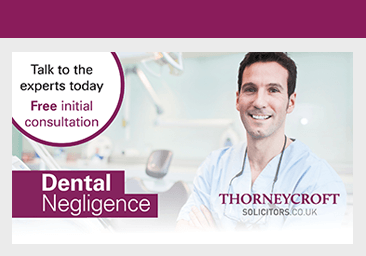 Thorneycroft Solicitors has a nationally renowned personal injury team that includes highly experienced dental negligence solicitors specialising in dentist negligence and dental compensation claims. We have successfully represented clients with dental negligence claims resulting from poor dentistry caused by misdiagnosis, inadequate treatment and careless dental work. Visiting the dentist can be a very unnerving experience for many people. 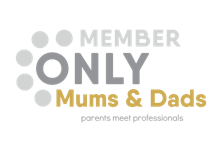 Although most dental surgery is performed to a high standard there are times when things go wrong which is where we can help you claim compensation. Your dentist has a duty of care to carry out work to a good standard and, if work carried out falls below this standard, then you could be entitled to make a claim for dental compensation. Dental negligence claims can be made for a variety of different reasons including misdiagnosis of a condition, not treating a condition correctly or careless dental work by your dentist such as extraction of the wrong tooth or injury during treatment. If you have suffered as a result of careless dental work you could be entitled to claim for dental negligence compensation. The most common types of dental negligence claims? 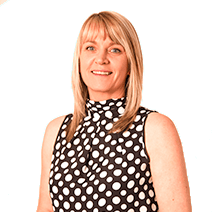 This is Kerry Lawley, our Dental Negligence Advisor and she has consistently achieved excellent results for our clients in Macclesfield, Manchester, Cheshire and surrounding areas and remains dedicated to maximising the compensation for dentist negligence claims available on a no win – no fee basis.